The SONY Xperia™ Z3 manual guide has been released by Sony at their website. 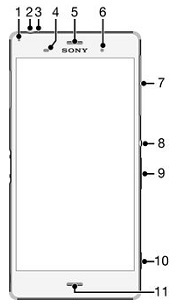 The The SONY Xperia™ Z3 manual guide is provided in PDF document format (144-pages, PDF, 1.51 MB) that you can download directly from Sony website. 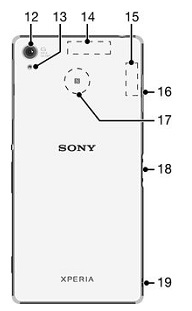 You can read this The SONY Xperia™ Z3 manual guide by using PDF reader software/application. 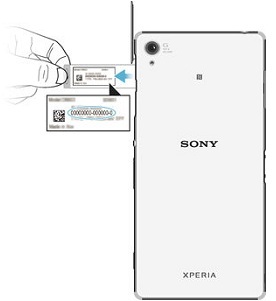 The The SONY Xperia™ Z3 manual guide contains complete reference information about how to operate the The SONY Xperia™ Z3 Phone properly, such as how to use the hardware, how to insert the nano SIM, charging teh battery, device security, creating and setting, basic troubleshooting and many more. The device only supports nano SIM cards. 1. Make sure you know your Google™ account username and password and that you have enabled the Protection by my Xperia service on your device. 2. Go to myxperia.sonymobile.com using any Internet-connected device. 3. Sign in using the same Google™ account that you have set up on your device. 4. Click the picture of your device under Your devices. 5. Select Lock or Change PIN2 to replace the current screen lock with a new PIN code. 6 Follow the on-screen instructions provided by Protection by my Xperia. 1. Make sure your device is paired and connected to the Bluetooth® device that you want to add as a trusted device. 2. In the Smart Lock menu, tap Trusted devices. 3. Tap Add trusted device > Bluetooth. 4. Tap a device name to select it from the list of connected devices. Only paired devices appear in this list. 5. Depending on the security of your connection, you may need to manually unlock your device before the trusted device can keep it unlocked. 1. Detach the cover of the SD card slot. 2. Using a fine-tipped pen or other similar tool, press the memory card inwards and then release it quickly. 3. Draw the memory card outwards and remove it fully. 4. Insert a fingernail, or a sharp object such as a pen, into the hole in the label tray, then drag the tray outwards to view your IMEI number. 1. From your Home screen, tap Menu. 2. Find and tap Settings > Battery usage. An overview appears showing battery usage data and an estimated battery time. 3. Review the information, then proceed as required, for example, uninstall an application or restrict its usage. 3. Select an application and review its battery consumption via App info > Battery usage. This SONY Xperia™ Z3 manual guide is available FREE at SONY website, we merely collect the information, we neither affiliated with the author(s), the website and any brand(s) nor responsible for its content and change of content.